Biomimetics is a rapidly emerging area of medical engineering. The concept of biomimetics encapsulates the study of nature and various natural phenomena to understand underlying mechanisms so as to apply these concepts that can benefit areas such as mechanical engineering, technical biology, and mechatronics. More specifically, medical biomimetics can be considered as a creative form of technology that uses or essentially imitates nature in a bid to improve human lives. Some of the popular examples are the invention of swimsuits with fluid-drag reduction features motivated by the structure of a shark’s skin, the wings of airplanes modelled on the wings of birds, and robust building structures inspired by turban shells. The area of medical biomimetics is not new with several practical applications. Over the past few years, it is witnessing promising prospects in the making of surgical instruments. These biomimetically-inspired surgical instruments are endowed the functionalities of basic functions performed by hands, feet, or mouth such as cutting, stinging, sucking, and gripping. The substantial demand for prosthesis and implants to address the need for organ transplantation, especially among elderly populations, is a key factor boosting the medical biomimetics market. This is where medical biomimetics plays a key role, since it is believed that no design innovation is possible without considering nature as a potential model. Recent adoption of biomimetic technologies for organ regeneration is expected to accentuate the market in the coming years. Some of the popular areas of application are dentistry, cardiology, orthopedics, and ophthalmology. The advent of newly discovered materials that can be used for biomimetics is expected to bode well for the market. Biomimetics refers to the study of natural phenomena, nature, and living organisms to understand the principles of underlying mechanisms. Obtaining ideas from these sources and applying those concepts for the benefit of areas such as engineering, science, and medicine forms the core basis of research activities central to the field of biomimetics. Biomimetic principles are effectively applied to medical products such as prosthesis, implants, surgical instruments, and exoskeletons, allowing the manufacture of highly realistic varieties. For the purpose, people as well as animals are used as models. One of the key factors expected to drive the global market for medical biomimetics is the rising geriatric population and the subsequent rise in demand for prosthesis and implants. The high rate of organ failure in geriatric people will stimulate the increased use of biomimetic technologies in the field of organ regeneration. Significant advances in the area of tissue engineering and incorporation of biomimetic technologies for organ regeneration are together expected to bring about a positive transformation in the field of organ transplantation in the next few years. Medical fields utilizing biomimetics include cardiology, dentistry, ophthalmology, and orthopedics. As the highly complex free-form surfaces of animals, humans, or other biological objects and the ones inspired by nature can be properly reproduced only with the use of additives, the 3D printing technology is being increasingly used for the speedy fabrication of made-to-measure medical products and prosthesis. Nanotechnology principles are also increasingly employed for the development of newer varieties of biomimetic materials for use in protein delivery systems, tissue engineering, and drug targeting mechanisms. The field of robotics is also abuzz with research revolving around the applications of biomimetics in developing anthropomorphic and kinematically accurate robotic components. Recently, scientists from the University of Washington in Seattle have built, what is being called the present times’ most detailed and kinematically precise robotic hands. The design, according to the scientists, has been made with the goal of human hands, which could have vast advantages in telemanipulation, wherein the operator can seamlessly leverage the ease and accuracy of performing an action to the level of manual execution. It would not be long till the medical applications of this anthropomorphic robotic arm are found. 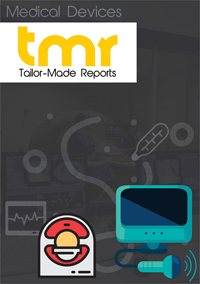 From a geographical perspective, the report analyzes the market for medical biomimetics for regions such as North America, Europe, Asia Pacific, and Middle East and Africa. Presently, the North America market dominates the market owing to factors such as high rate of adoption of novel technology, high base of geriatric patients, and the presence of several companies engaged in the research and development of medical biomimetic products. The high disposable incomes of the population also allow high expenditure for healthcare and support expensive procedures. The market in Asia Pacific is expected to exhibit growth at a promising pace in the next few years owing to the thriving medical tourism industry in the region and a rising population of geriatrics and high disposable income patients. Increased focus on the applications of biomimetics in the robotics sector will make countries such as Japan, South Korea, and Malaysia the top investment grounds for companies wanting to extend their acumen in the field of biomimetics. The global biomimetics market features a highly dynamic vendor landscape with increased focus from companies on research and development activities aimed at the development of novel medical biomimetic products and expansion of area of application of medical biomimetics principles. The market features a large number of small, medium, and large companies, pointing towards a highly fragmented competitive landscape. Some of the key companies operating in the market are BioHorizons, Avinent, Hstar Technologies Corporation, Forschungszentrum Jülich, Biomimetics Technologies, and Applied Biomimetic.